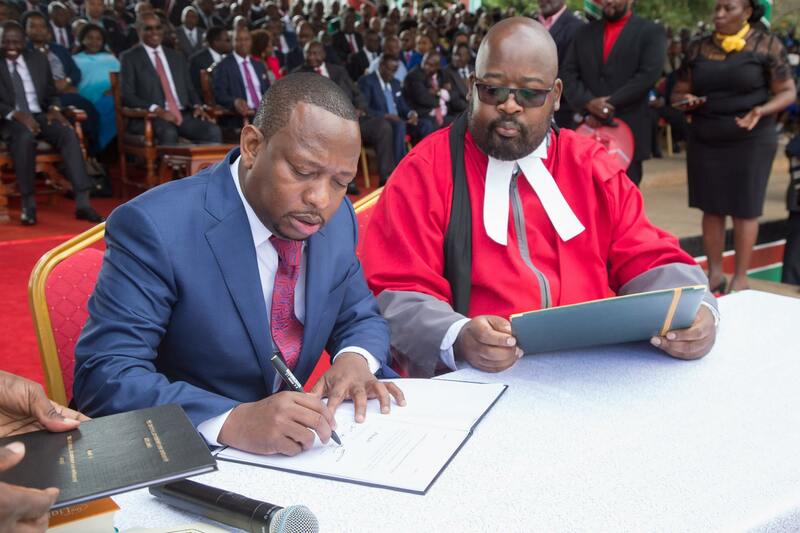 Home Review Sonko really is governor… Brace for impact! | Nairobi Governor Mike Sonko at his swearing-in. 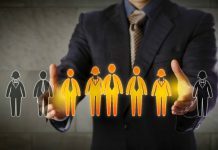 A generally confident mien, image and personality coaches agree, is one of the major ingredients of enigmatic leadership. Because there is never a shortage of critics and naysayers, an optimistic disposition can inspire calmness and confidence during crises, and help generate much-desired solutions, or inspire a dejected public. It is part of the deal of what makes a leader. John A Barnes, in his book, John F. Kennedy on Leadership: The Lessons and Legacy of a President, recalls the desolate state of New York City two decades ago in 1993, when it teetered on the brink of bankruptcy, bogged down by crime and failed political leadership under Mayor David Dinkins. When Rudy Giuliani took over as mayor, it was his charisma, more than anything else, that helped turn around what is today regarded, rightly so, as the “capital of the world”. Because denigrators do not require any prodding to descend down upon one, for any range of reasons, Barnes offers, it requires more than willpower to inspire and demonstrate the positive in any given (bad) circumstance. When Mwai Kibaki took the reins from Daniel Moi, he was barely recovering from a crippling road accident that had had him in a coma for some period during the 2002 campaigns. But because he bravely bore the pains of his injuries and smiled through gritted teeth as he took his oath and received the instruments of power, the crowd at Uhuru Park was held in electrified captivation, inspired by a head of state who refused to let his pain cloud his moment. It was the country’s moment, and, in a way, Kibaki’s grit symbolised Kenya’s expectancy for a dawn that was not unlike that moment in 1963 when Jomo Kenyatta took over from the colonial governor. Of course, what became of that hope is another matter. Last month, when Evans Kidero handed over to Mike Sonko as Kenya’s most powerful governor by virtue of the county he heads, the one-time bling MP-turned-Senator-turned-Governor was all poise. The keen observer wouldn’t have missed the bubbliness under his skin. Sonko looked like he wanted to shout to the world and proclaim that he had done it! Instead, he was collected, smiling only when required to. And the Head of State was there to witness and rubberstamp the occasion. The preceding weekend, the governor-elect had dispatched his Sonko Rescue Team to clean up the city, because the country’s capital “needs to be the cleanest on the continent”, he declared, and he would not rest until this accolade was bestowed. That is what they call a running start! Yet, Nairobi’s story is extremely complicated, and its troubles are not just about a calm demeanour, or inspiring charisma. For if that were the case, his predecessor possessed those in abundance, never mind that they were hardly honest. The city’s problems are structural, and they are historic. The summary of it is bad leadership, but they boil down to overwhelmed infrastructure, occasioned by bad planning, and sheer selfishness. Yet, these are not new. Everybody knows them; they have been in manifestos since 2013, and even before it. But if you ask Evans Kidero, he will say he never had the support of the national government in his bid to clean up Nairobi – because he was “deliberately sabotaged, just so Jubilee could install one of its own.” Even if that were true, there are a thousand and one rejoinders to this claim; the primary one is that that sabotage, if it existed, was only true to the extent that national government consistently refuses to let hawkers leave, as they constitute the majority of its voters. Kidero had many, many other avenues to leave his mark and create a legacy. 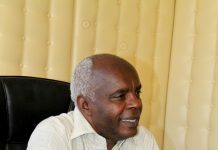 As things are now, his best claim to any sort of legacy is a rumour that an accountant at County Hall had strict orders to deposit Sh40 million to a numbered account every Friday. The figure could be higher, the rumour continues. Mike Sonko is a ‘gang-star’, and not the nerdy kind, as rapper Ice Cube would say. He has never denied that he (used to be) a criminal, that he escaped jail, and that he has since used his connections as MP and later Senator to deflect any follow-up to his crimes. But, he is an upstanding citizen now, he claims, and he wants to make this city great again. Well, hell-o governor! Because Evans Kidero was/is a corporate thug, he never could appeal to the masses. He is elitist, and he didn’t give a hoot about the little people. As long as Muthaiga, where he lives, and Lavington, where he owns flats, had clean running water, and garbage was collected, his idea of a city in the sun was actualised. These are the bad debts he banked on. His last-gasp attempts to click with the real voters were a flop; they ultimately gave him the finger. That being said, Sonko’s election was a real shocker as those close to Kidero confide. He simply refused to believe he had lost to “him”. Despite Kidero’s massive blunders, many voters were willing to get by for another five years under him, because, come on, a third of the country’s GDP under Sonko? Only Sonko is the new face of city and/or national politics now. One thing his background/image will not do is dent investor confidence. Traditionally, it has never mattered anyway; it certainly will not matter now when the global trend is to dress down – literally and symbolically – to impress. What is more, he has the sleek-speaking, smooth-operating corporate maharishi Polycarp Igathe for a deputy and PR spinner. Most importantly, Sonko comes properly assuming the mind-set of an underdog – an academic midget (nobody believes he actually studied for his degree when he cannot make one good sentence in English) whose only good qualities as a leader are his mobilisation skills, and convincing tongue – basically is a qualified politician. well, and judge him from that perspective. In spite of what we may think of him, the governor has done some good deeds, ones that resonate with the masses. His Sonko Rescue Team supplies water to low-income estates, and provides social services such as ambulance and hearse aid. These things may not mean much to some, but they connect him to the little people on a level so native it is difficult to undo. The governor has vowed to clean up Nairobi like it never has been for a long time, and fervently promised equality in services to county residents without favour. It is difficult to imagine this happening in a city where everybody agrees providers are controlled by vicious cartels. This, one analyst put it on TV, is precisely why Sonko will succeed – because he has his own militia in the name of Sonko Rescue Team to counter any unsavoury resistance his agenda might be met with. The majority of Nairobians – at least those who are able to voice their opinion in publicly consumable discourse –agree that the city’s affairs are going badly, and that the people in charge are either incompetent, or just do not care. Today, the winner of an election is typically an unscrupulous contender, whose main opponent is considered by most to be even worse. Why? Because many voters – generally are decent, well meaning, intelligent, learned people – hold untenable or downright injurious beliefs. They often vote for candidates whose tenets and behaviour is inconsistent with their thoughts. Again, why? Because we are raised to be slaves to tribe, to primitive loyalty and to handouts, and we often fail to connect the dots to create a picture that paints the true state of affairs. Oftentimes, voters are unable to agree on a standard definition of what is “best” for any given situation, and this is true for Nairobi. For example, should hawkers be let to execute their trade within the CBD? The hawkers, of course agree! Business owners do not. Given this state of affairs, how does Sonko go about determining what is best for this city – seeing as he had no manifesto to start with? How does he craft a work-plan that sufficiently addresses what the city’s disparate groups consider pressing? Evans Kidero did not have to craft a work-plan for the last four and half years; he just needed to identify a few areas that affected the majority of his voters, to address, and no other candidate would have held a candle to him. This is what Mike Sonko must now do. In our kind of system where one candidate decides what millions of his/her voters need – by way of manifestos – this is often difficult to achieve. But, if one were to gather several dozen people to ask them what they think are areas that most need addressing in this city, many of them would list water and drainage, security, housing, employment and (link) roads – not necessarily in that order. Now, Sonko’s county government will not, by itself, address housing and joblessness, but it certainly can address water and drainage problems, as it can roads that fall under its ambit. The city’s development plans, from the time of the city council, have consistently identified the need to have a dam on the outskirts of Nairobi, to collect storm and rain water for treatment, storage and distribution during dry spells. To achieve this means overhauling the city’s largely archaic and overwhelmed drainage system, and keeping them unclogged. Yet, successive administrators continually fail to fulfil this very executable project. As has been said and cannot be repeated too often, the city’s administrators need only to ensure its residents get the best of the most basic of services, and they (residents) will ably help them implement the rest, for if there is one thing that Nairobians are known for, it is their tenacity and industry. The rest, from my very brief list – employment, security and housing – need concerted effort from both levels of government. 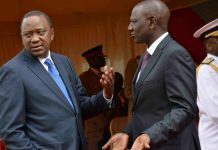 It being that Kidero’s main gripe with Uhuru’s government is that it sabotaged his plans for many of his projects under these banners, it should be relatively easy for Sonko, who enjoys a cordial working relationship with the country’s Executive, to initiate and implement what his predecessor was unable to – this, despite the Nairobi’s decidedly complex nature in terms of its compositions and the associated interests. As with everything else, time is the true judge. And even for those who lament that we have a bathed and perfumed ruffian in governor apparel, one whom the IEBC should never have cleared to run right from 2013, there is the guarded enthusiasm that maybe he really is what we need – someone so utterly impulsive as to surprise his critics by delivering a startlingly transformative term that might even set some kind of normal for his successors to be judged upon.